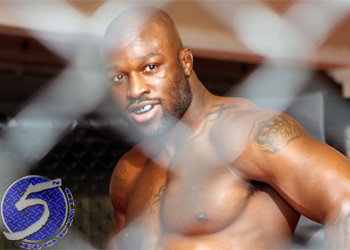 Whatever Muhammed “King Mo” Lawal (Pictured) is selling about not knowing he took a banned substance, UFC president Dana White is not buying. The former Strikeforce light heavyweight champion shouldn’t feel too slighted by White’s disbelief, MMA’s big boss doesn’t believe anybody who has ever denied not knowing what they’ve ingesting – let alone a professional athlete. “If you get caught doing something, admit you did it,” White said following Thursday’s press conference. “This whole, ‘Somebody put something in my system that I didn’t know about.’ I mean, who here let’s people put [expletive] inside of them that they don’t know what it is? Last week, the Nevada State Athletic Commission reported Lawal tested positive for the steroid drostanolone after his 2ndRound TKO win over Lorenz Larkin. The talkative wrestler has vehemently denied that he knowingly took any illegal substances for the January 7th contest. Lawal believes an over-the-counter supplement he consumed caused him to produce the positive exam. He faces a year-long suspension, $2,500 fine and having his victory overturned to a no contest. Team King Mo will not appeal the NSAC’s ban.